Pop singer, Ariana Grande recently released a single titled “7 Rings” which outlines her success and financial stability. As soon as the song was released, people began to talk about how Grande’s new song made them feel about the amount of money in their pockets, and how similar certain parts of the song sounded like songs that had already been released. Despite the song reminding fans that they don’t have nearly as much money as Grande does, many claim to be happy for her because of the rough year she had in 2018. Hours later, memes began circulating the internet. Grande reminding everybody that she is rich however, wasn’t the main concern. The first verse of the song sounds very similar to “My Favourite Things” from the musical The Sound of Music. This seemed to be the easiest and most common similarity that had been noticed. 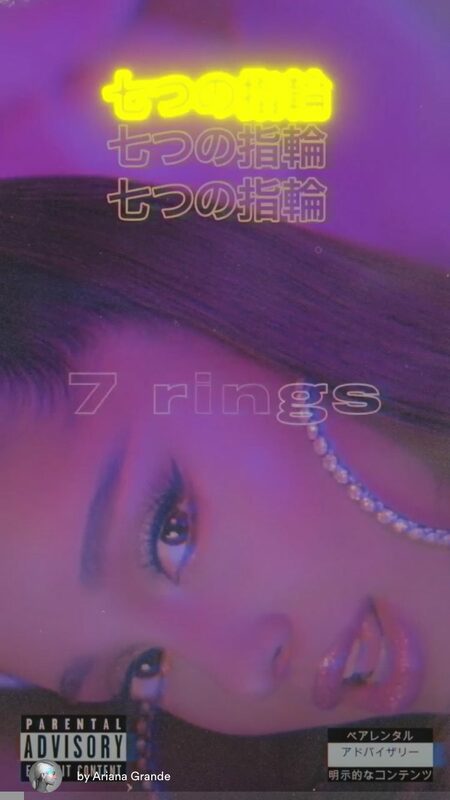 However, artist, Princess Nokia posted a video on instagram saying that “7 Rings” sounded oddly familiar. The lyrics in “7 Rings” are “You like my hair? Gee thanks, just bought it, I see it, I like it, I want it, I got it.” and the lyrics in Princess Nokia’s song “Mine” are “It’s mine, I bought it”. Both sets of lyrics are sung in an extremely similar way and Princess Nokia’s song “Mine” is about coloured women and their hair. Soulja Boy also replied to one of Grande’s tweets saying “you’re a thief”. It is speculated that “7 Rings” sounds similar to Soulja Boy’s song “Pretty Boy Swag”. The last accusation that Grande has received regarding her song is that it sounds similar to 2 Chainz’s song, “Spend It”. 2 Chainz’s lyrics in “Spend It” are “I’m riding ‘round and I’m gettin’ it, it’s mine, I spend it.” Although, the lyrics were not the only similarity in this case. Ariana Grande also released a music video to “7 Rings” that had a graffiti theme, just like 2 Chainz’s music video for “Spend It”. Ariana Grande has not confirmed or denied these rumors, nor has she replied to any of the accusations. It seems that she is focusing on her own happiness and ignoring all of the negativity she can.